Breaking Fad The dust may have settled on the latest International CES, but we’ll be suffering aftershocks from the show for years to come. As an event, this year’s trade show was about the next and the new, rather than the here and the now – and there was plenty of consternation to be heard amid the bluster. 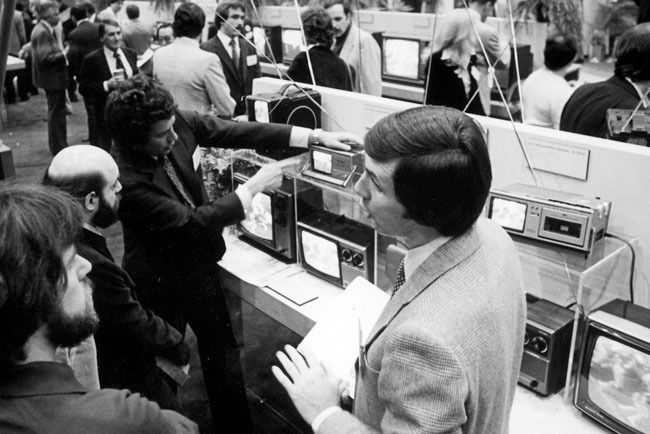 TV technology was obvious a big talking point, although image resolution is no longer the main attraction. No one says "if and when 4K takes off" anymore. Sales of 4K panels are already big business, with pixel-dense TVs fast becoming the norm for any screen that aspires to be anything other than bargain basement tat. Telly chatter instead was actually all about colour performance and HDR (High Dynamic Range). We’ve talked about HDR at length in a previous Breaking Fad, but at CES the sheer force of all the bluster was buffeting. High Dynamic Range displays offer extremely bright peak whites, without emphasising noise, sacrificing black level or bleaching out shadow detail. As a result, they can look astonishingly lifelike. The catch is that there is no consensus on just how bright an HDR display should be, although there’s no shortage of opinions either. Behind booth doors, LG had a prototype HDR OLED display on show, but revealed scant details about its plans. Sony had a 4K sample on open display, running HDR test footage from Netflix’s Marco Polo show. Elsewhere, Panasonic invited visitors to look at an HDR prototype LED in a darkened booth. Only Samsung actually appeared to have an HDR display ready to sell, specifically a 1000 Nit model due to ship this spring. I was invited backstage to a workshop where Samsung boffins played bespoke HDR mastered footage from Exodus: Gods and Kings on a giant 4K HDR model, soon to be sold as part of the brand’s S-UHD range (because putting an S in front of anything makes it Super). It looked S-sensational. One new factoid to emerge from CES is that HDR will not be restricted to just 4K material, but will be introduced onto 1080p content too. The news was confirmed to me by Kazuhiko Kouno, Panasonic’s chief engineer responsible for developing the brand’s 4K Blu-ray player. He mentioned it in passing while talking me through the state of play with Ultra HD Blu-ray. At the show, his prototype deck was running a simulated HDR demonstration from 4K media. 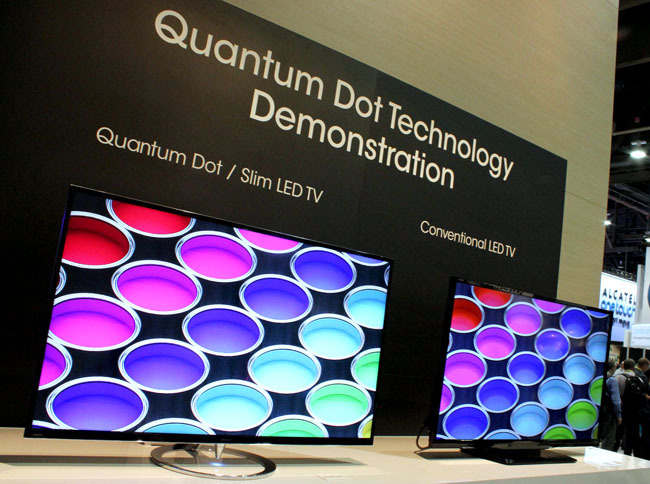 The other tellybox buzz at CES was Quantum Dot. QD is an advanced LED backlighting technology that offers extreme colour vibrancy, but it’s actually just one of several techniques now being pursued to create wider colour gamut displays. LG used CES to introduce its ColorPrime TV range for 2015, and this comprises both wide gamut colour LED screens and models using Quantum Dot nano-technology. Frankly, I couldn’t tell the difference, and neither could the LG staff walking me around the stand. 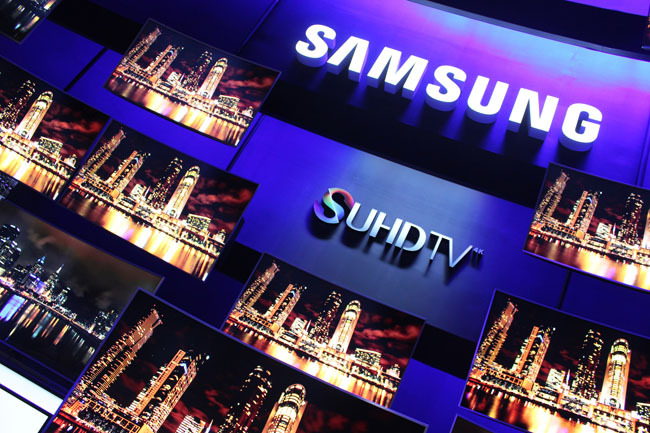 Samsung is the other big brand backing Quantum Dot. Quantum Dot, BT2020, HDR – this new lexicon largely built to accommodate content that no one can yet see – was enough to give even hardened commentators a headache. As if to resolve the confusion, CES heralded the formation of the UHD Alliance, yet another self-serving industry standards body.